Corruption cases the young leader has been facing have made many of his party colleagues privately question his suitability for the state’s top post. 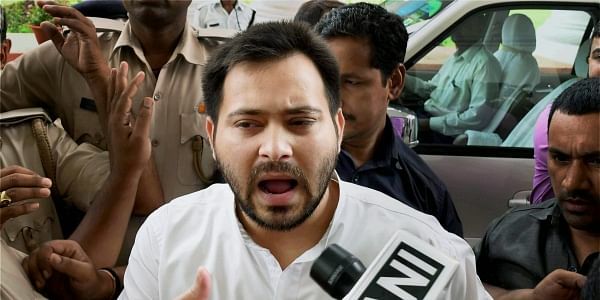 PATNA: Bihar’s main Opposition party RJD on Tuesday witnessed rifts over its plans to declare party chief Lalu Prasad Yadav’s younger son Tejaswi Yadav as the party’s CM candidate for the 2020 Assembly polls. A day after RJD’s newly-elected state president Ramchandra Purve said the party would form an alliance government under 28-year-old Tejaswi’s leadership, ex-minister Abdul Bari Siddiqui disagreed. Siddiqui, 61, is one of Lalu’s closest associates and the most prominent Muslim face in RJD, whose electoral successes over the years have been possible due to the overwhelming support of Bihar’s sizeable Muslim voters. Siddiqui is a seven-term MLA and has served as Leader of the Opposition in the Assembly and finance minister. Known for his clean image and articulate speech, he is seen by many in the party as a potential CM candidate. Tejaswi is a first-time MLA who was anointed deputy CM in November 2015 after RJD won the largest number of seats in the Assembly polls. He had no previous experience in politics just like his elder brother Tej Pratap Yadav, 29, who was anointed health minister in the grand alliance government led by JD(U)’s Nitish Kumar. That government fell after 20 months when Nitish pulled out and allied with the BJP in July. “We (RJD) would defeat the communal forces, BJP and RSS in the 2019 Lok Sabha polls. After winning the Assembly polls in 2020, we will form an alliance government under the leadership of Tejaswi Yadav,” Purve said after being elected RJD’s state chief for the fourth consecutive time. But Siddiqui refused to endorse Purve’s announcement. “Our national president (Lalu) has not issued any statement in this regard. It (Purve’s speech) is a matter of emotion. Anyone can become chief minister. It may be A or B or C,” he said. That Tejaswi is Lalu’s heir apparent and the RJD chief is keen on making him Bihar’s CM is well known among the party’s leaders and workers. At RJD’s national executive meet at Rajgir in May, Lalu had left enough hints that Tejaswi would be at the help of the party in the near future. But the corruption cases the young leader has been facing have made many of his party colleagues privately question his suitability for the state’s top post. Tejaswi has been named as an accused, along with his father and mother Rabri Devi, in the Railways’ hotel tender scam. Besides, he is also facing probes by central agencies in benami property and money laundering cases. “Siddiqui’s disagreement to the plans to declare Tejaswi Yadav the CM candidate is shared by a large number of leaders in the party. Such voices of dissent will become louder in the coming days,” said a senior RJD legislator.